Taxi businesses are on a golden space now due to the advent of taxi dispatch software. It enables the easy dispatch of a taxi in the most accurate manner due to the perfect location detection and conveyance of the details to the drivers in a timely manner. If you are looking forward to starting your online taxi business, I am sure you will be baffled. There are a lot of choices in the market and very little information on how to buy the best taxi dispatch software. Many companies would have a strong marketing team who will be pitching their products to you like the best in the market. Beware, look around! Do not settle for the first offer. Always look for the solution that excels in all the departments and can transform your business and improve your convenience by helping in the easiest management of the taxi business. 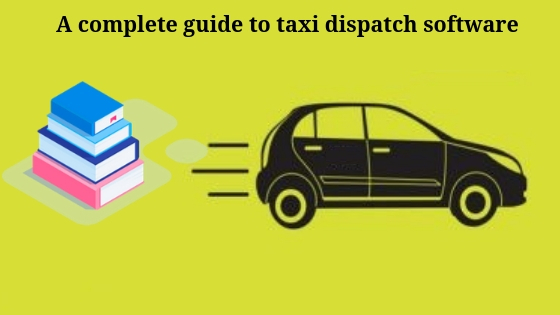 We provide you with a complete guide on how to buy the best taxi dispatch software. Have a look! A Third party can deploy a turnkey taxi dispatch software to the current business, system or process immediately post installation and implementation. Choosing a third party software package is always a wise option. With a considerable amount of customization and the company’s branding, the solution can be put to work. The software can be accessed on a web browser as well as mobile application. The admin just has to add the drivers, their car details and their personal details and put on the details regarding fares, default language, ETA, Payment dispersals etc. The admin panel and dispatch dashboard are ready, after the former process. 2. Pay as you go software model – Your best friend! Taxi dispatch software solutions like our Infinite Cab offer Pay as you go software models to its customers. This is a very hassle-free concept. You just need to subscribe to the software for a nominal monthly fee. You can use the software as long as you pay the rent. When you stop paying the rent, the software ceases to function. This is a very cost-effective solution when you are new to the business and cannot spend a fortune on it. You just need to keep the subscription going. The subscription amount depends on the number of admins, cars, drivers, and customers. Higher the count, higher will be the amount and vice versa. No matter how much perfect software you buy and how much ever you spend on it, the admin or one of the admins or the drivers are going to face some issue or the other. Always keep in mind that no solution is perfect and glitch free. So, when we are paying for a software solution, you should ensure that the provider will provide robust support facility and be willing to clear any query over 24 x 7 phone support, Email, and Skype. The SaaS-based solutions do not require any updation by the company but the chances are that they may run into glitches like incompatibility, sluggishness of user interface and detached apps. Also, while setting up the software, you will require the support of the developing company. Training must be provided to the staff who handles the maintenance work of the software in the future. You must consider all these criteria while shortlisting the taxi dispatch software provider and choose the right one. Analyze your business and ensure the software you are about to purchase fulfills all its need. Predetermined fare calculation and geolocation facilities are inevitable to the smooth functioning of the business. You would also be needing a chat facility so that the driver can chat with the customer if the latter is unable to pick up the call. The riders should also have the facility to book the rides in advance and the admin should be able to see them and allocate them to drivers effectively. 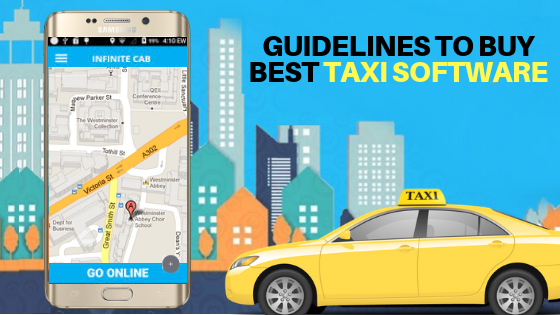 Know more about the essential features that a taxi dispatch software must have. When you enter the market, a turnkey solution will make things easier for you and will set up your business faster. Pay as you Go model is a bit light on the pockets as you need to pay a subscription fee every month and not the whole amount at once.APIs enable increased customer satisfaction by providing a bit extra. Explore a free taxi dispatch software demo for a better understanding of the software. Do you want a customized solution for your taxi dispatch business? Contact us today!